A brandnew and very exciting (to us, at least) package called pinp just arrived on CRAN, following a somewhat unnecessarily long passage out of incoming. It is based on the PNAS LaTeX Style offered by the Proceeding of the National Academy of Sciences of the United States of America, or PNAS for short. And there is already a Markdown version in the wonderful rticles packages. 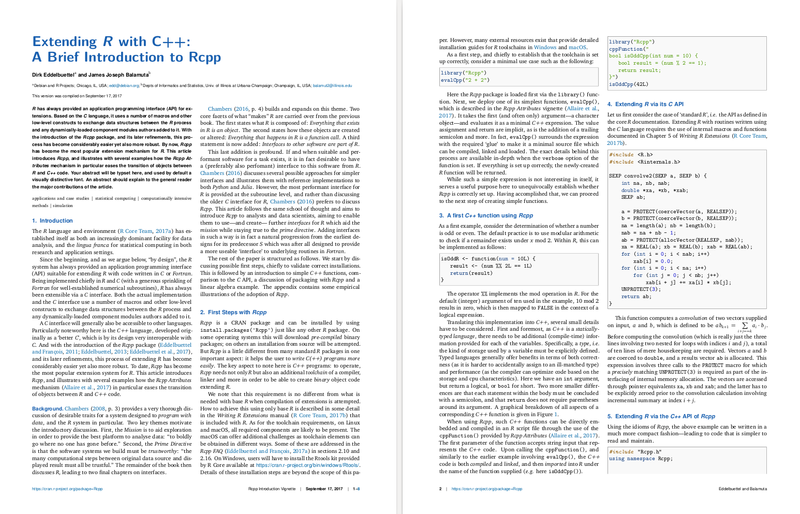 But James Balamuta and I thought we could do one better when we were looking to typeset our recent PeerJ Prepint as an attractive looking vignette for use within the Rcpp package. And so we did by changing a few things (font, color, use of natbib and Chicago.bst for references, removal of a bunch of extra PNAS-specific formalities from the frontpage) and customized a number of other things for easier use by vignettes directly from the YAML header (draft mode watermark, doi or url for packages, easier author naming in footer, bibtex file and more). 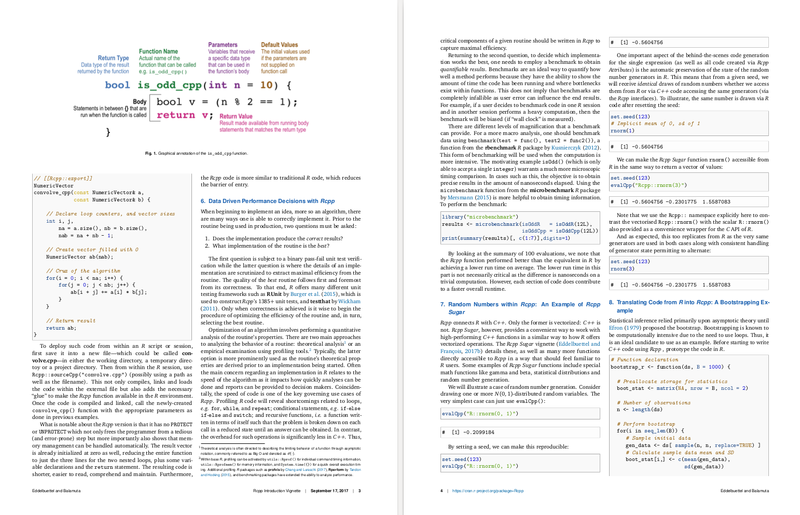 and the pinp package page or the GitHub repo have the full (four double-)pages of what turned a more dull looking 27 page manuscript into eight crisp two-column pages. We have few more things planned (i.e., switching to single column mode, turning on linenumbers at least in one-column mode). A new version of drat arrived earlier today on CRAN as another no-human-can-delay-this automatic upgrade directly from the CRAN prechecks. It is mostly a maintenance release ensuring PACKAGES.rds is also updated, plus some minor other edits.